Mike Perry has taken Joel Sternfeld’s Walking the High Line as the inspiration for his photographs of the industrial brown fields that skirt the eastern boundaries of E9. Sternfeld photographed an elevated derelict railway running along the western edge of Manhattan for just over a mile, focusing on the wilderness that had now overtaken the tracks. 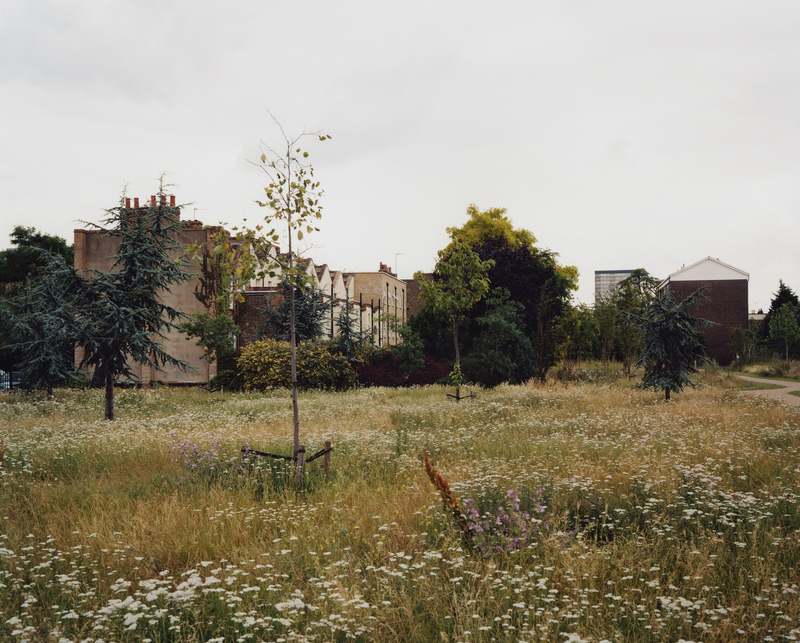 But whereas Sternfeld’s purpose appears to be a comment on nature’s abiding reclamation of the urban environment, Perry’s photographs show the early encroachment of redevelopment. 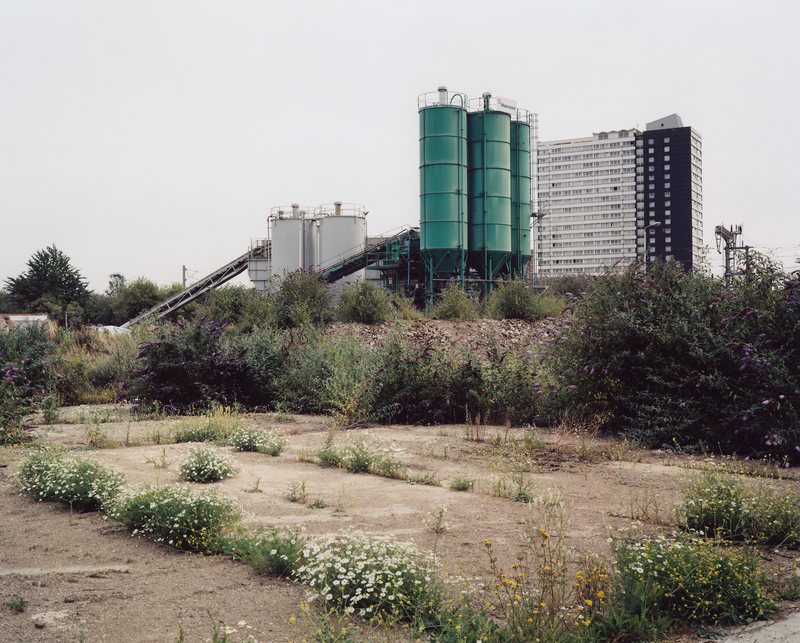 However, when Perry photographed the weeds and wildflowers at the Marshgate Industrial Estate (For Sale, 2004), little did he know that 8 years later this would be the centre of the Olympic Stadium. Perry’s is a contemplative gaze. 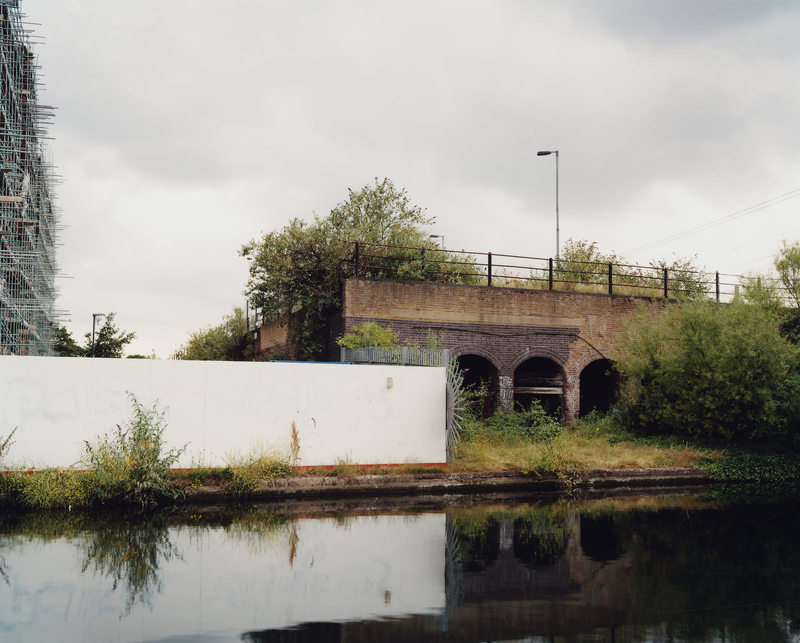 In Lea Navigation, Hackney 2004, he evokes a sense of illusionary stillness. 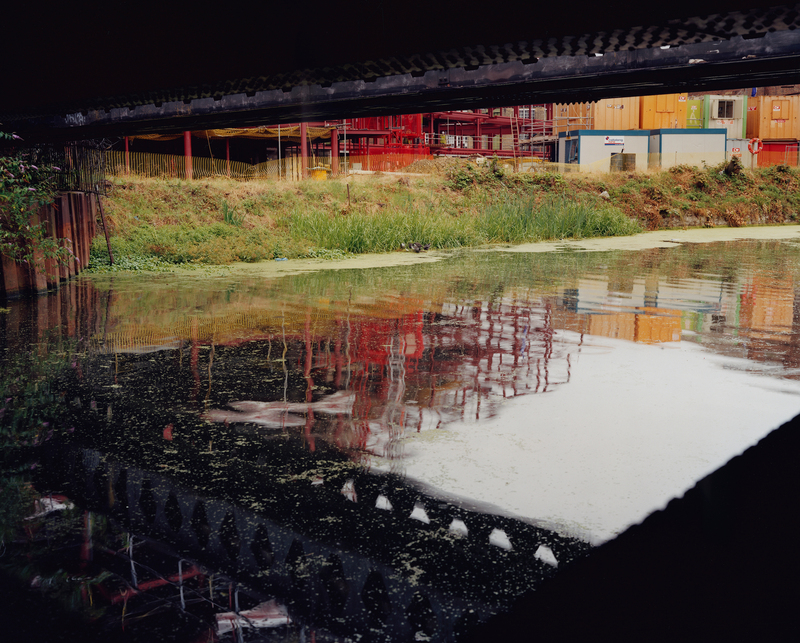 The blurred, liquid languid reflections of the buildings murky canal, the puff of smoke in the background and the incidental verdant flashes of greenery belie the seediness of the surroundings. 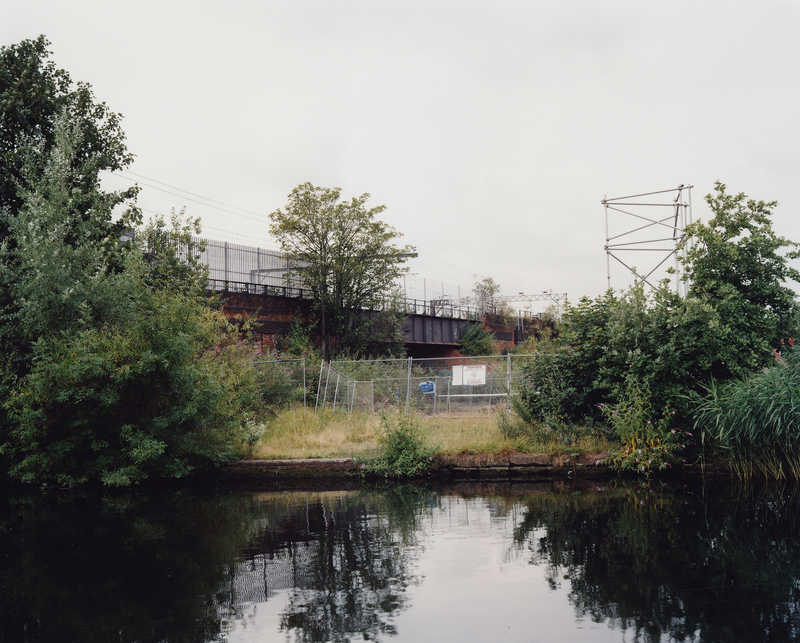 These beautiful, tranquil photographs show an area in waiting and are a unique record of it’s transitory nature before it is swallowed up by re-urbanisation. The strange nuanced loveliness is all the more powerful because of it’s site in this back of beyond, watch you don’t get knifed mate, wasteland. 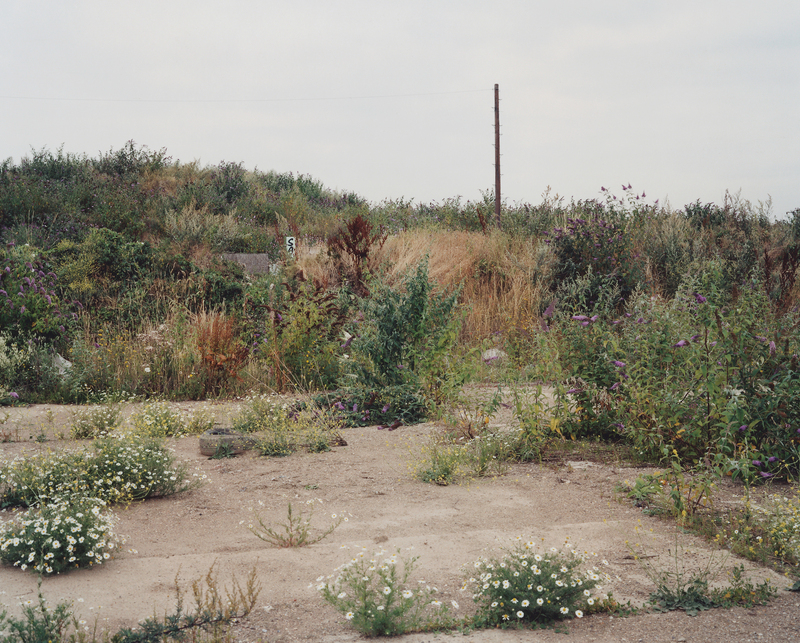 Craig Burnett suggests that Perry’s previous project – photographs of the coastline around Sussex and Dungeness – ‘offer a sustained mediation on the visual experience and a mental space for emotional and imaginative play’. 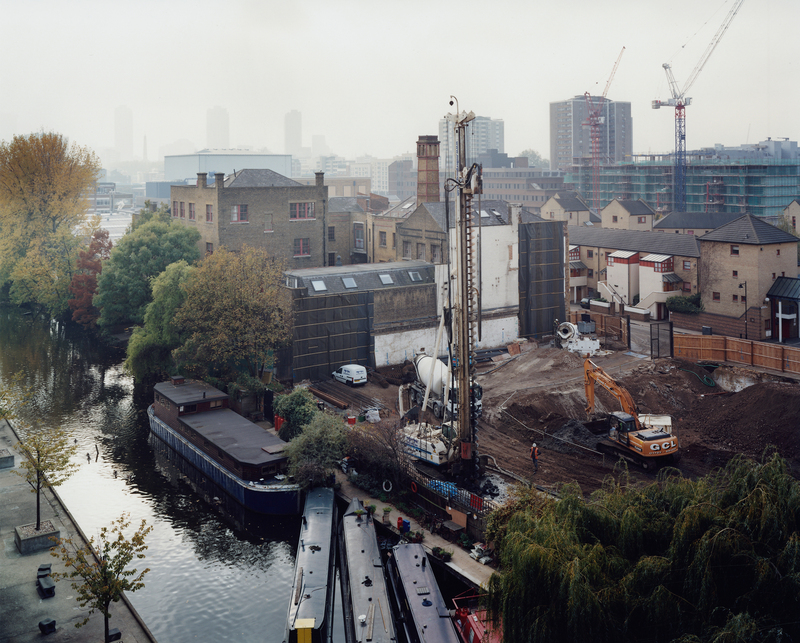 The badlands of Hackney are a long way from the flasks of tea and sandwiches and trendy away-days of the south coast, and yet even in glorious seedy old Hackney, Perry manages to capture the restorative power of the landscape.